Yoshino is Aki's maid and follower. She seems to be a clumsy girl. However, beneath her clumsy and shy appearance she is actually extremely deceptive and cold, able to deceive and hurt Aki without a second thought. 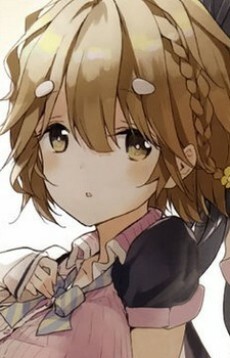 Unlike Aki, Yoshino easily gained weight from sweets. Later it was revealed that Yoshino had disguised herself as Aki eight years before, rejected Masamune, and gave him the nickname "Piggy" due to jealously towards Aki's affection to him, but soon realized that her actions caused Aki to become estrange towards men. She has been regretting this and attempted to repay what she has done after Aki and Masamune reunited in high school.